Battery Powered units are positive pressure ventilation fans that are powered by a Lithium Ion battery and a DC motor. These units run can run on Battery Power when you arrive on scene, and they can also be plugged into AC generator or shore power to continue running and charge the battery. 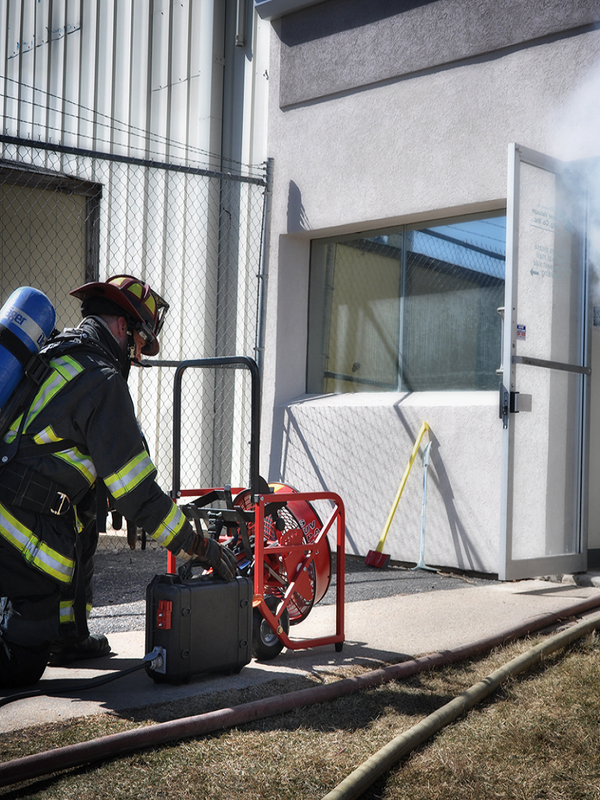 Unlike some brief case style battery fans, these are full pitched, aluminum blades moving large amounts of air to help quickly clear a structure.